You may find that one of the key benefits of starting your own business is that your work actually makes you much happier. Are you toying with the idea of starting a virtual or home-based business? Well EzyLearn is your one-stop training-shop for everything you need to start a business — all via our Small Business Management training course, MYOB training courses, WordPress training courses and MS Office training courses. But what are the real benefits of working from home? Fewer Expenses: This may be an obvious one, but it’s often what makes or breaks a bricks-and-mortar business. Operating your business from home incurs fewer expenses; namely the overheads of rent, power and telephone services. But there are those other little expenses that can start to add up: coffees, lunches, petrol and other travel expenses. When you work from home you can say goodbye to forking out $4 for a coffee everyday and hello to the $960 you’ll save each year by having a cuppa at home instead! Manage Business Expenses: Working from home can allow you to cutback on certain things or splurge on others, which is sometimes not possible with a physical office. Using cloud accounting software like MYOB also allows you to keep track of your day-to-day more efficiently so you can see how you’re tracking on a daily basis. Improve Your Business: Without the overheads and expenses that come with operating a business with a physical office space, you can reinvest that money to improve the overall operations of your business — whether that means updating your computers, systems or expanding your business into an area you previously couldn’t because of the golden handcuffs. You’re Greener: Most people spend between 10 and 20 hours every week just sitting in peak-hour traffic. When you work from home you can finally do your bit for the environment and ditch the car, including all the costs associated with it. Between the cost of fuel, car services, rego, insurance and tyres you’re looking at around $5,000 a year — that’s a trip to Europe! You’re Happy: Sometimes when you’re trying to rationalise to friends and family the benefits of working from home we forget to say this because it sounds like a cop-out, but it’s actually a biggie. You spend 48 weeks of the year at work, and an average of 40 years working — why shouldn’t you strive to be happy? Confucius once said: find a job you love and you’ll never work a day in your life. So on that note, what are you waiting for? 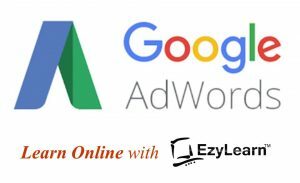 EzyLearn can provide you with all the training you need, from managing your business and doing your books to finally getting your head around Excel and website design. So don’t worry. Be happy — start a business and have a job you actually love.